We are experts in agriculture chemistry and plant-soil-water monitoring control systems. The great value that AGQ Labs brings to the agriculture sector is our global team of expert chemical engineers, agronomists, and scientists. Together, our experts utilize AGQ Labs' vast reference database of ideal plant-soil-water conditions to optimize crop cultivation for our customers. All our agronomic decisions are based on internally developed proprietary methods using AGQ Labs' patented lysimeter suction probes and patented crop nutritional monitoring (US PTO# 9,107,341) that mimic water and nutrient uptake of roots. The key to increasing the profitability to crops! AGQ Labs has been monitoring and evaluating the chemical needs of crops for over 20 years. We have helped clients around the world increase crop production, improve product quality and size, optimize fertilizer and water usage, control salinity and establish zero pesticide leaching methods. AGQ Labs' Crop Nutritional Monitoring Program is based on the comprehensive control of the "Soil-Plant-Water system". 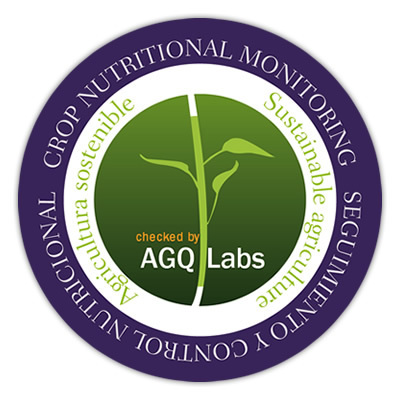 AGQ Labs has developed an internal proprietary procedure for crop nutritional monitoring and control that is based on the analysis of soil solutions which are extracted by AGQ Labs' patented suction lysimeter probes. AGQ Labs currently provides consultancy for over 1.5 million acres of crops including but not limited to citrus, fruit trees, table grapes, olives, avocados, berries, sugar cane, energy crops, coffee, horticultural crops and rice. AGQ Labs uses its advanced interactive online platform, BeSafer, to develop high quality GIS (Geographic Information System) and NDVI (Normalized Difference Vegetation Index) maps to display crop nutritional monitoring data allowing customers to easily see and understand their results. This allows our customers to see nutrient evolution maps of the soil and plant through the growing season. Get to know your soil fertility and nutritional status of your crops! AGQ Labs develops a state-of-the-art analysis of the Cell Wall Calcium fraction in fruit, a good tool for diagnosing alterations in pre- and post-harvest quality. It is well known that post-harvest is a key period with a direct influence on the quality and appearance with which fruits and vegetables reach their point of sale. Even if we have done a superb job in the field, if the product does not successfully endure the period between harvest and sale, we will have failed. Deciduous species, in their first stages of development during the season, are supported by various reserve nutrients accumulated during the preceding cycle. All nutrients, including Nitrogen, Phosphorus, and Potassium, are absorbed by plants in various ionic forms. AGQ Labs provides you the necessary technical tools to contribute to better planning of the crop's productive period. The lab reports are followed-up with an interpretation of the results by our Agronomy team. These recommendations will vary according to the levels obtained in the results of Arginine, Starch, Phosphorus, and Potassium. AGQ Labs' quality seal certifies farms are using sustainable agricultural practices that guarantees the farm is using fertilizers, water, and pesticides efficiently and minimizing their impact on the environment. Our guarantee is based on the know-how and expertise that AGQ Labs has accumulated in over 20 years. In this time, AGQ Labs has determined reference values and curves for the optimization of most major crops. Our global network of over 50 agronomists are experts in the interpretation of this information making our services unequaled in the industry to all issues related to crop irrigation and nutrition. Governments and consumers have both started to demand that farmers use sustainable agriculture practices. For over twenty years AGQ Labs has demonstrated that this is not only possible, but it saves the farmer money on fertilizer and water use while increasing quality and production of crops. AGQ Labs' crop nutritional monitoring (US PTO# 9,107,341) and control services allow farmers to adjust water supply and fertilizers to the real requirements of the plants. With over 1.5 million acres of crops around the globe being monitored by AGQ Labs, our database of reference data is one of the largest in the world. The application of technology and knowledge in agriculture to be more cost effective and environmentally responsible is AGQ Labs' philosophy for the future. Today, any manufacturer or distributor of agriculture products must bring value to its customer. AGQ Labs specializes in providing services that complement the functions of agriculture products. Many companies in this sector have found AGQ Labs to be the perfect partner to carry out checks on their products to ensure the customer is seeing optimal results. 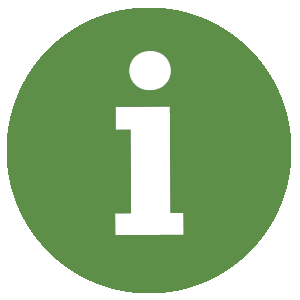 Large areas that make up parks, gardens and golf courses must be subject to strict control over everything related to irrigation and nutrition. Slow release fertilizers are most commonly used in these areas and the rate of release must be monitored and controlled to prevent leaching by excessive use of fertilizers.